Chicago, Illinois – 12 March 2014 – In an ever-changing marketplace, operational flexibility is key to growth and a requirement for manufacturers – especially for those operating multiple production lines. 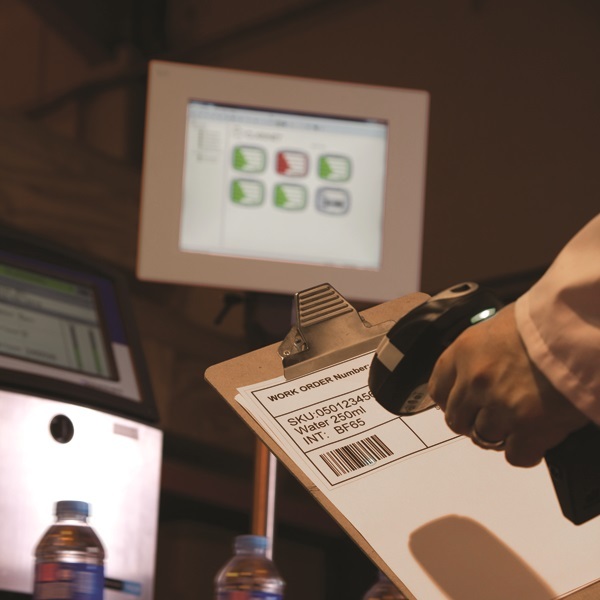 Now, more than ever, it is essential for manufacturers to ensure that their product and packaging coding is accurate and complicit with legal and retailer industry regulations. To meet manufacturers’ needs and demands of coding and marking flexibility as well as improved Quality and Availability, Videojet Technologies, a global leader in coding and printing solutions, has enhanced its CLARiSUITE™ software product line with the launch of CLARiSUITE™ WebServer Edition. The new CLARiSUITE™ WebServer Edition offers functionality to help drive sustainable improvements in Overall Equipment Effectiveness, by helping manufacturers remove inefficiencies and the risk of operator error including data entry and job selection. Furthermore, the upgraded software helps enable manufacturers to monitor and control a specific job, line or printer from multiple locations and is adapted to run as a service in modern IT environments with physical and virtual servers and no need for a hardware dongle. “Until now, printer network, job management and status overview updates were limited to a central computer – so manufacturers were hampered and confined to controlling their print jobs from a single location,” said Colin Morgan, Product Manager for Software Solutions, Videojet Technologies. “The key advantage of CLARiSUITE™ WebServer is that it can be left running unattended and controlled remotely via a web browser. Manufacturers are able to observe the status of the printer, download a specific job and control multiple printers in multiple locations.” As part of its ongoing customer commitment to enhance its software solution and meet customer demands, Videojet’s CLARiSUITE™ WebServer software solution reduces the amount of time operators need to visit their production sites and lines, as they are able to observe the status of the printer, configure it and download jobs over any web browser within their networked environment. CLARiSUITE™ WebServer also allows manufacturers, in the event of a problem occurring, to respond more rapidly and minimize downtime, since operators with access to the web server can check the status of a job, regardless of their location. In today’s global-orientated market, there is amplified reliance on manufacturers to run several production lines simultaneously with numerous products per line and codes to manage. CLARiSUITE™ WebServer operates as a service independent from the main server – to meet IT infrastructure demands – so the main user administration interface is detached and runs on any machine on the network, unlike traditional applications hosted on a single computer server. The monitoring software therefore is always active, eradicating the need for human intervention to start the program each time, increasing production line productivity and round-the-clock performance reporting. Available across a wide range of Videojet’s marking and coding systems for a high level of close integration, for more information about CLARiSUITE™ WebServer, call 91-22-30933168 or visit www.videojet.com/in.